The challenges that come with building a corporate career can be tough. Many people think that it is not as challenging as running your own business, but that is very far from being true. While the challenges may be different, both journeys require people to have great resolve. During the fruitful corporate career I had before starting my own business, I learned that there are five truths in having a successful corporate career. One: Working towards mastery is better than working for recognition. Expecting and wanting to be recognised for your efforts is a limiting expectation to have. If you are doing great work with the hope that you will be recognised, then you will end up disappointed most of the time. As a consultant to some of the most successful companies in South Africa, working with teams at all levels of work, I can share with you that most employees feel like their work is not suitably recognised and/or appreciated – and at the same time, most managers feel like they are doing a great job at recognising and appreciating their people. Even great leaders have people who don’t feel appreciated, so working towards being recognised and appreciated is not a good strategy. Instead, change focus. Work towards mastery, not recognition. Now there is something that is guaranteed. Hard work might not give you recognition but it will definitely give you progress and mastery. 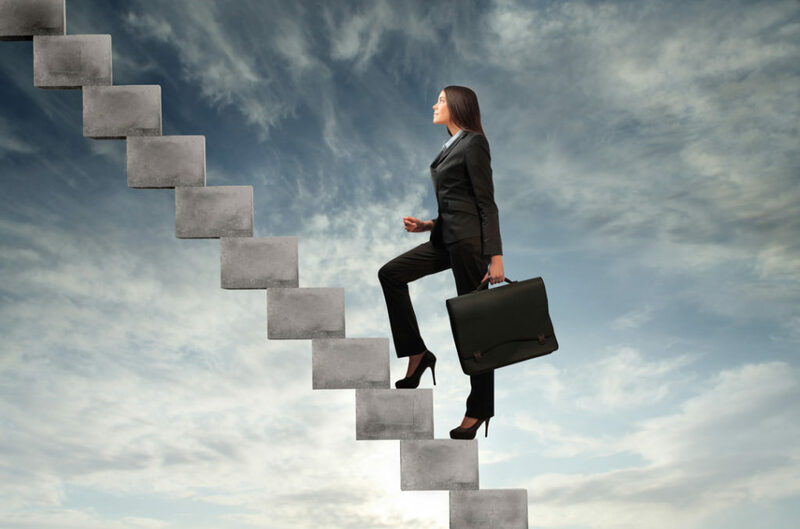 When you eventually become a master at what you do, elevation will be the reward for your diligence. Two: Becoming a passionate problem solver will ensure your employability. When I was in the corporate world, I was part of several restructuring and retrenchment exercises and my experience has been that the company always held on to the people who solve problems. Always. Even if their positions were redundant, the company found a new position for them to fill so that they could do what they do best. Whether you’re working for a big organisation or a small start-up, the leaders or owners will always find a way to hold on to those who find solutions. If you wait for your leader to develop you or create opportunities for you, you have placed your future in the hands of somebody who should not be expected to care about your future more than you do. In the bus that transports you towards your vision, the driver’s seat is reserved for you and you only. For every turn, every detour, and every advancement – as much as it may be influenced by one or more people on the bus – the decision maker and executer of those moves will always be you, the driver. If there is a job or position you want, contact your human resources department, ask for the approved profile of that job and begin to dissect it yourself. Once you understand what that job requires in terms of knowledge, skill and experience, implement a plan to acquire those things. If you have a good leader, they will welcome your desire to grow and will connect you to the people and resources you need to successfully implement your plan. Four: Thinking and behaving as if you owned the company will lift your thinking and behaving. You will be surprised how things around you will change when you start aligning your thinking and your decisions to the best interests of the company, rather than your own. Money decisions, people decisions, product decisions, back office decisions and technology decisions will all be made better when they are 100% in synch with achieving the company’s vision. Build up a reputation of always treating the company as if it was your own. When you listen to leaders describe their employees, there’s always that one person in their team whom they trust implicitly because they believe that that individual makes decisions based on what will move the company closer to its vision. Five: Stay clear of gossip. It’s always better to talk about solutions rather than people, but if you must talk about people, talk about what they do right rather than what they do wrong.